There are a variety of things to do and attractions to visit with the landscape in Maryland that this state has to offer. From the Atlantic Ocean and the Chesapeake Bay to the Appalachians and DC suburbs and Baltimore, resorts in Maryland have something for everyone. You can enjoy great scenery and activities outdoors, plus visit historical sites, museums and cultural events all in one day. A peninsula which extends hundreds of miles between the Chesapeake Bay and the Atlantic Ocean, the Maryland Eastern Shore offers all kinds of recreational activities and is a popular spot for summer vacations. People from around the region come here to explore the beaches, historic towns as well as the natural and beautiful areas. There are activities for everyone including swimming, boating, fishing, biking, bird watching and golf. Resort communities along the shore host great events annually which include seafood festivals, waterfront festivals, races and boating regattas, boat shows, fishing tournaments, museum events, arts and crafts shows, and so much more. Set upon ten miles of white sand beaches running along the Atlantic, Ocean, Ocean City is absolutely ideal for surfing, swimming, castle building, kit flying, jogging and more. The Eastern Shore resort is a busy beach town that includes amusement parks, arcades, shopping malls, miniature golf courses, movie theatres, an outlet shopping center, go-kart tracks and the infamous three-mile Ocean City Boardwalk. There are all kinds of different restaurants, accommodations and nightclubs to appeal to the likes of all the vacationers that frequent here each year. Ocean City continues to remain a very famous and popular vacation spot for people from all over the world for good reason. You simply can’t travel to Maryland without taking the time to visit the Baltimore Inner Harbor. You and your family can take a thrilling and fun-filled cruise with Seadog cruises to learn about all of the historic sites that are around the harbor, plus explore the Maryland Science Center to have an informative and insightful day of learning and discovery, then have a fantastic dining experience at some of the finest restaurants the state has to offer. You will not be disappointed by spending a day in the Inner Harbor of Baltimore with all that it has to offer its tourists and residents. This is known as the biggest inland body of water to be found in Maryland. Deep Creek Lake is actually a man-made lake which was made in the 1920’s. It is currently one of the most heavily visited attractions for tourists in Maryland, mainly because of the state park there. The park offers vacationers all kinds of exciting outdoor actives such as hiking, fishing, water skiing, swimming and wakeboarding. In the winter when the lake freezes, it is then a perfect place for snowmobiling and cross-country skiing. Many people come back year after year once they realize all that Deep Lake has to offer them. A great area for anyone who loves to play in the outdoors, Western Maryland has all kinds of things to offer up to its tourists. It is an absolute wonderland of golf, lakes and mountains. 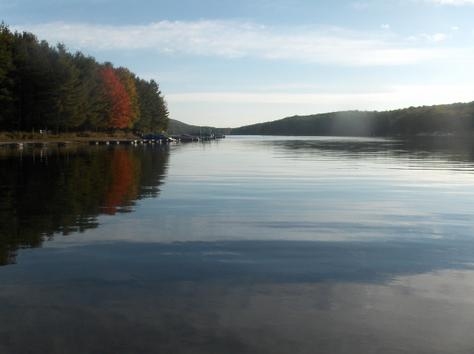 Over the summer, Deep Creek Lake is a huge draw for anyone who loves golf, lake fishing, whitewater rafting and hiking. Over the winter, people enjoy snowboarding, skiing and snow tubing. You can stay at the Wisp Resort, which has over one hundred thirty aces of winter playground for snowboarders, skiers and snowmobilers. There are also plenty of antique shops in the towns of the area in Hagerstown, Frostburg and Oakland. The perfect place to visit if you love art and food, you can book a rental anywhere in the Frederick area to enjoy your stay. As one of the most distinctive destinations in Maryland, Frederick is quite famous for its historic downtown which has been beautifully restored and for its world-class restaurant district. One great place to make your reservations is Volt, a popular new restaurant which is supported by Top Chef’s Bryan Voltaggio, or you could sign up for a Taste Frederick Food Tour in which you can travel around to the specialty shops in the historical party of the city for samples. You can also choose to explore the city with a Candlelight Ghost Tour, in which you can learn why Frederick, Maryland is called the most haunted city. The Bethesda Naval Base is the place which houses the hospital for the United States Government, including the president of the U.S. and his family. 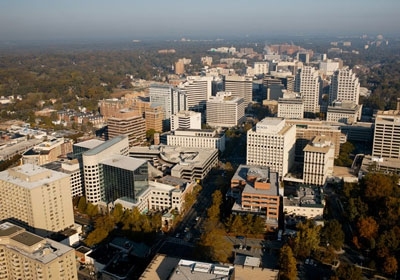 It takes up a very large part of Bethesda. A large metropolitan area, this is the perfect place for anyone who loves shopping and getting some fantastic bargains. Here you’ll find all kinds of foods to please your palate, and because of its location, Bethesda has some of the best accommodations. All levels can be found here from low end to very expensive high-end hotels. Bethesda is also great for travelers who want to use public transportation. It has a good train system which runs every few minutes, taking you to major places like Virginia or Washington, D.C. The bus is also a good choice for transportation if you want to make some stops before reaching D.C.
Potomac Village is tucked away from the major tourist areas. Near the convenient Ronald Reagan International Airport, you’ll be amazed at the beautiful homes and scenic road it boasts. A famous landmark here is Sprinkles, an ice cream store which has been there for over twenty years with diligent staff who is excellent at caring for customers. Here you can find all kinds of very delicious cakes and pies. Driving down the Potomac River about five miles from the village, you can go river kayaking, hiking, water rafting and even have a relaxing picnic. You may also enjoy some bird watching as the river flows past you. 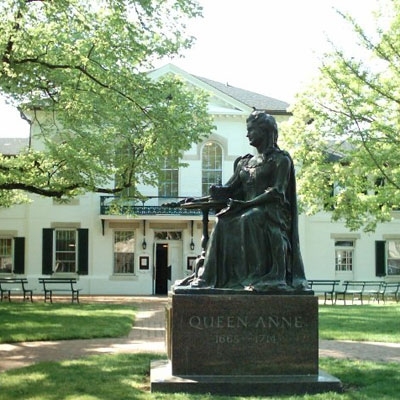 Queen Anne’s County is surrounded by miles of scenic Chesapeake Bay waters and acres of pastoral rural landscape. It offers its tourists an environment which is relaxing and it is an ideal habitat for waterfowl and wildlife, a perfect setting for sportsman and birdwatchers. This area is complimented by some of the most spectacular sunsets and the finest waterfront dining in Maryland. You can play a round of golf or cycle along the Cross Island Trail. Enjoy a peaceful night at a charming B&B, go exploring or antiquing, or do some casual outlet shopping in one of the small historic towns. Chesapeake & Ohio Canal National Historical Park: Once a canal which operated almost 100 years, it is now a park that serves as a place to take leisurely walks, scenic bike rides, trail hiking, boat rides, plus tours of historical structures such as lock houses. Six Flags America: For the most thrilling adventure of your life, visit Six Flags America and find all kinds of exciting rides for family and kids, plus enjoy their musical shows and relax in the water park. Assateague Island National Seashore: Founded in 1962 to protect the beauty of the island, there are plenty of fun activities here such as bird watching, sightseeing cruises, kayaking, hunting and fishing, or just relax on the beach. Brookside Gardens: Fifty acres of public garden with award-winning displays, you can check out the Japanese garden, the Butterfly garden and the Children’s garden, plus visit their two conservatories that are open all year. Maryland Live Casino: For a night of fun and games, come to the casino for games like table games, slots and poker, plus enjoy exquisite fine dining, classy music and high-tech entertainment. Strathmore Music Center: In operation since 1981, the music center offers audiences a large array of musical shows, so if you are a music lover you will want to check out what this attraction has in store for you. Server responsed at: 04/22/2019 6:31 p.m.